Please note that 7:45am to 8:00am is available by prior arrangement only. Taddington & Preistcliffe C of E (Aided) Primary School offers an after school club which is available for Flagg Nursery School children. Please click here for more information. For every session please bring your child into the classroom so that staff know who has arrived. Children are encouraged to find their name cards and register their attendance. In this way we can keep a careful check on the safety of all the children. This is also a good time to sit down and share an activity with your child, choose a book to take home or take time to talk to staff or other parents. You are welcome to use the garden or link area if you arrive early, but please do not come into the classroom before 9.00am or 12.45 pm as staff are planning and preparing activities up to that time. Once your child has settled in, family members are encouraged to join us for a nursery session and we are especially keen to involve dads and grandparents. Just let us know if you would like to observe, join in activities, read a story, garden or play a game. 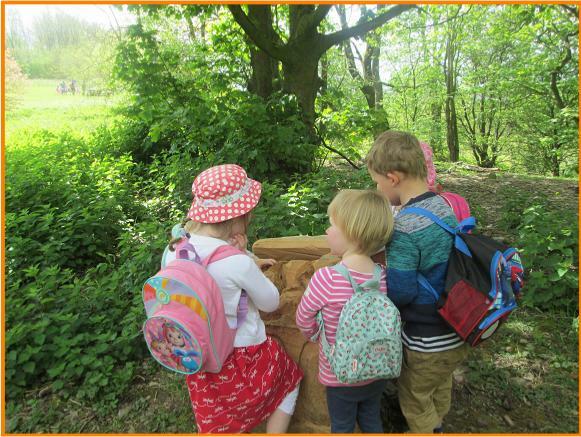 Each session we plan a mixture of focussed activities, structured free play opportunities, small group times, outdoor activities and snack time. Our planning is always available on the classroom wall, we send information about the current theme home, provide words to the songs we are learning, display work, regularly invite families to share in events and are happy to talk to parents about any aspect of our teaching. Children look forward to seeing you at the end of the session, so please make sure you are on time to collect your child. This is also the time that staff prepare, plan, tidy up and eat their lunch, so we do appreciate good timekeeping! We encourage car sharing and children socialising out of school, so if you would like to post your details on the noticeboard or discuss with staff, we can signpost you to like minded families.